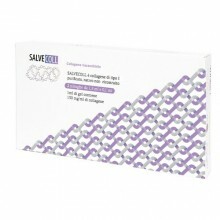 Salvecoll® gel is widely used in surgery, cosmetics and other fields of medicine. Gel – the most plastic form – is ideal for filling various cavities. Salvecoll® gel has a high viscosity, so in order to facilitate insertion, the syringe can be pre-heated to body temperature in a water bath or in an incubator. Heating the gel above 40°C or cooling it below 5°C is not recommended. The gel can be reheated multiple times, in multiple procedures. The concentrations of the collagen gel is 7% and 15%. 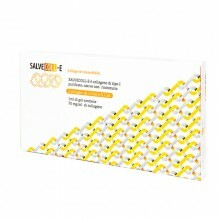 In addition, an allergic test syringe of Salvecoll® (7%, 0.1 ml) is included. Form: Sterile gel with 7% collagen injection syringes. The volume of material in the syringe for injection is 1.0 ml or 1.5 ml, 0.1 ml in the allergy test syringe. Designed for single use only. Composition: 100g of gel contains 7g of native, unreconstructed, sterile, collagen glucose solution for injection, of bovine origin. Form: Sterile gel with 15% collagen injection syringes. The volume of material in the syringe for injection is 1.5 ml, 0.1 ml in the allergy test syringe. Designed for single use only. Composition: 100g of gel contains 15g of native, unreconstructed, sterile, collagen glucose solution for injection, of bovine origin. Store in a dry, dark place at a temperature of 5 to 25 ° C. Do not freeze or expose to high temperatures. In cases of damage to the primary packaging, Salvecoll® should not be used. 3 years from date of manufacturing. Do not use after the expiry date printed on the package. After expiration of Salvecoll® its remnants must be placed in a container for non-hazardous waste and sent for recycling. Form release: Sterile membranes in 15×15 mm, 25×25 mm, 30×20 mm, 60×50 mm sizes, and a thickness of 0.3-1.5 mm, packed in a medical glass bottle, sealed with rubber stopper and an aluminum cap. Membranes are intended for single use only. Composition: Unreconstructed, native, type 1 collagen of bovine origin. Store in a dry, dark place at a temperature of 5 to 25 °C. Do not freeze or expose to high temperatures. In cases of damage to the primary packaging, Salvecoll® should not be used.